I know your products WORK! I just wanted you fine folks to know that following a hair analysis, which showed I was dangerously high in mercury and uranium, I took a two month course of HMD™. I then took a break for a year (I know..) and reordered, and took almost 3 more months of your HMD™ products. Afterwards I did a follow up hair analysis which showed NO MERCURY and only a trace uranium. 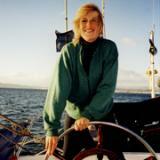 I struggle with Chronic Fatigue as well as a chronic spontaneous CSF leak... SO, my health journey began when, per the conventional medical community's own lips, my doctors could do nothing more for me... SO GLAD, or else I would never have researched for myself alternative methods and would probably just be on a ton of drugs, poisoning myself and getting sicker. With that said, getting heavy metals out of my body produced less of a foggy brain for me!!! I didn't just have hair analysis lab results to prove my HM clearance, but my alleviated brain fog told me as well. So I just wanted to say THANK YOU! I know your products WORK! In June 2012 I went to see a dentist for a general check up. He told me I needed a filling in a tooth to which I agreed, however I didn't realize the tooth had a mercury filling. The dentist gave me no indication that the tooth had a mercury filling and went about drilling into the filling without any protection or precautions for the mercury being absorbed by myself. Following that appointment I began to get extremely sick, mentally. I began having massive depression and anxiety, so severe that I had to sleep locked in a room on my own without any sharp instruments because I was worried I would harm myself or someone else. The thoughts I was getting were horrific and I couldn't see how I could live thinking like that. It was like my brain was cramping and I was getting horrible thoughts that I just could not control. It was a real battle just to get through one day. In fact I would have to plan the entire day and make sure I had something to do at every stage of day just to help me get through the day. I went to the doctor to try to find the problem. The doctor sent me for blood tests, an epilepsy test, a brain MRI, a cat scan of my head. I went to a maxofacial specialist, an ear nose and throat specialist and a psychiatrist. None of the tests or specialists could find anything so the doctor prescribed me high dose Vitamin B told me to exercise and sent me home. That night I took a vitamin B tablet and woke up at 1:00 feeling like I was dying. Apparently Vitamin B turns mercury into its lethal form of mercury so I stopped taking that immediately. As a person who had always taken extreme care of my health, I couldn't believe how sick I was and plenty of people were telling me that it was just stress. I knew it wasn't stress and with the doctor being ineffective I kept trying to find out why I was so sick. 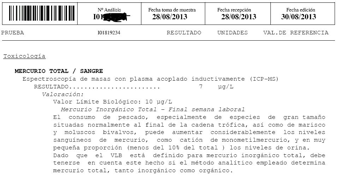 I took food tolerance tests, hormone tests, urine metal tests, allergy tests etc. I eventually sent some hair away for analysis and it came back that I had quite high levels of mercury. That is when things began to click and I realized mercury was the thing that was making me so sick. As it is super toxic. 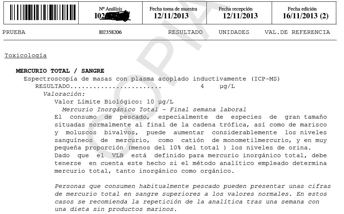 To confirm the test results I went and got a blood test and yes the blood test results also showed high levels of mercury. 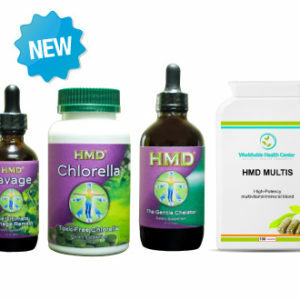 At this point I did some research and found the natural detoxification product HMD™ which had been well researched and it looked quite impressive. My only concern was its ability to get the mercury out of the brain tissue as all my research suggested that mercury had a strong affinity for brain tissue and my brain was going crazy so I desperately needed that fixed. While I couldn't find any strong research evidence on the ability of HMD™ to remove mercury from brain tissue, Dr George from HMD™ suggested that this may have been the case from anecdotal evidence as his patients experienced better mental health as the HMD™ lowered their mercury levels. That was good enough for me as I was in all sorts of distress. So my action plan was to remove all mercury fillings safely. I found a dentist that did the procedure safely and had all my 4 mercury fillings removed. This also resulted in the removal of a tooth as the bacteria had gotten into the root and my research on root canal therapy showed it to be quite dangerous in the long term. My new dentist did not want to remove the fillings as he said it was more dangerous to take them out then to leave them in but again I had a very strong opinion and proof that I was having issues with mercury. The mercury filling removal was completed by December 2012. 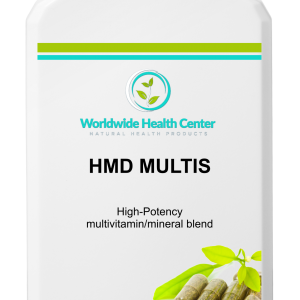 I purchased HMD™ and began taking it immediately along with some natural supplements that I read should help with the detoxification and elimination of mercury from my body. 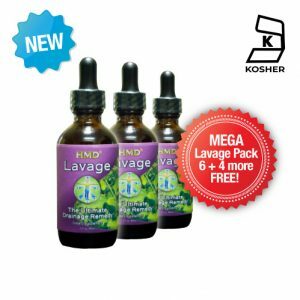 I began with 30 drops 3 times per day with the HMD™ but I seemed to be getting sicker so on the advice of the HMD™ team I backed off to 5 drops 3 times a day. I added some extra drops per day as I felt my body was coping with the mercury removal. I tried to get the dosage up to the recommended 45 drops 3 times per day but every time I went over 30 drops 3 times a day I started to feel sick so I stuck with the 30 drops 3 times per day because my body was tolerating that. I knew it would take longer for the mercury to clear but I didn't want to feel so sick all the time. The issue with trying to detox from mercury is that trying to remove it too quickly actually results in the mercury being reabsorbed and re-poisoning you. 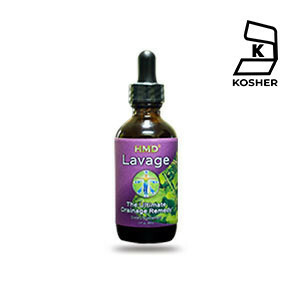 I realized that was why I was feeling so sick on the higher doses of HMD™ so I kept to the 30 drops 3 times per day. The other supplements I used were vitamin C, Vitamin E, Chlorella, zinc, magnesium and garlic as my research suggested these could help. I tried other supplements along the way but if I felt like they weren't helping I would stop taking them and over time I remained with the supplements I have mentioned. As of April 2013 my mercury had dropped to 9 units So I was detoxing about 1 unit per month which was nice and steady and I was happy as I was gradually feeling better and thinking better. Still my thoughts weren't all clear and happy yet. As of June 2013 I was still at 9 units of mercury in my blood which meant it hadn't dropped in 3 months. I thought this was odd and I was disappointed but I kept on pushing on. As of August 2013 my blood mercury had dropped to 7 units and the mercury was clearing again and with every decrease in blood mercury I was feeling better in the body and head. I was now beginning to function more like normal but still getting the odd strange thought although they weren't nearly as strong. Yes I was definitely improving. I continued to research mercury removal and decided to take the HMD™ on a 4 on 3 day off cycle per week but still taking only 30 drops 3 times per day because anything higher still makes me feel sick. I am also continuing to take the supplements. As of November 2013 my blood mercury is down to 4 units and I am noticing that I am feeling better with every decrease in mercury. It is now that I lift the HMD™ dosage to 40 drops 3 times a day as the increase I can tolerate well. I am hoping in the next 3 to 4 months I will be mercury free. 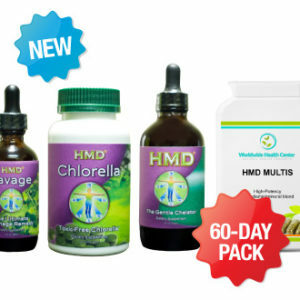 I will continue to detox with HMD™ and update this article as I progress. I just want to say that the HMD™ detox is working very very good with me...After the first week I had kind of flu symptoms but after that I began feeling better. I also had pain flashes in some of my teeth but that has gone too now and I am feeling overall better. My hair has started growing again, skin and my eyes look clearer and more healthy as well. I haven't slept as well for years as I do now after 10 days on the metal detox. 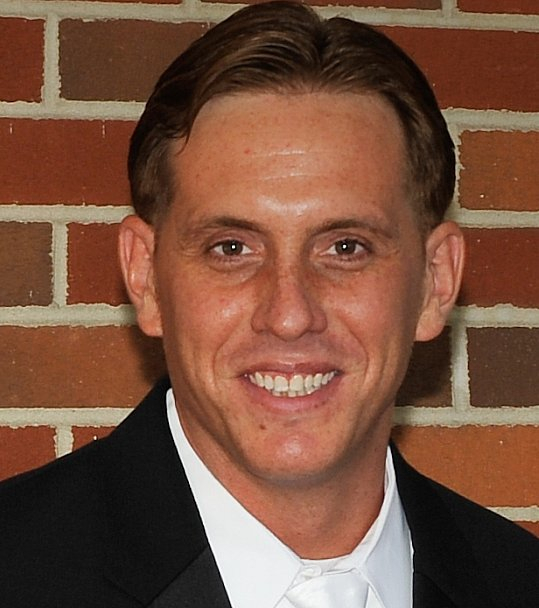 It is really a good product and the best money I have spent in a long time. The HMD™ products are being used by our vaccine-damaged daughter. She was diagnosed with Mitochondrial Dysfunction. Since starting HMD™, we have noticed many progressive steps. Her eye contact and cognition improved dramatically. She is using more language then ever before. Her bowel movements have been consistent without yeasty stools. This product has definitely changed her overall health and well-being. And she seems so much happier!!! I am so glad her doctor recommended this for her and will NEVER consider removing it from her regimen. Thank you, thank you, thank you!!! 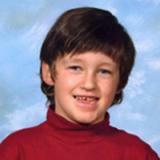 Our family apparently was exposed to uranium because it appeared in hair analysis and urine tests. We discovered we lived in an area where there were veins of uranium running underground through the town and later read in news accounts that the EPA was testing wells for uranium in our area. As soon as we learned that we apparently had been exposed, we tried HMD™. It was a relief to know that there were options for detoxification, especially for our children, that wouldn't be harmful. Later testingshowed that the levels had reduced by half in about 6 months. 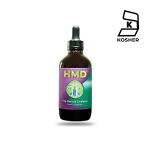 I have recommended HMD™ to friends with autistic children. 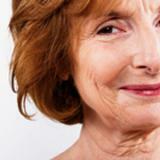 I have been suffering from severe menopausal symptoms as well as migraines andinsomnia for some time now. 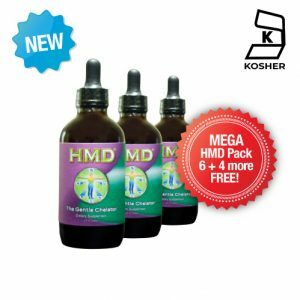 A few months ago I stumbled across the HMD™ website and was intrigued. I am a nurse and am very much into natural remedies and holistic healing. But to be honest at first I was really put off by the price. This product is not cheap. After some umming and ahing I finally went for it, and wanted to share my experience here. I went into menopause a few years back. My hot flashes came first and got really intense. It was so bad that sweat was literally dripping down my nose - very embarrassing at work. Within the second year I started not being able to sleep at night I would lay awake for hours and my mood also started to change. I got very irritable and short tempered and this was not nice for my family. Sometimes I would even carry it into work and be slight short tempered with my colleges, which I had never done before. For me HRT (hormone replacement therapy) was always out of the question, as I don’t like to interfere with my body in such a dramatic way. Plus you get all the side effects. So I tried with herbal remedies like sage and homeopathic drops – these things did help for a while but soon it was always back to square one. With HMD™ it was a different story. Nothing much happened at first but after a few weeks, I started seeing results. I started to sleep better and my mood improved. The hot flashes also started to get less and less. I have now been taking it for 4 months and I am amazed how it has transformed my life. I still have hot flashes occasionally but it’s bearable now. I have even noticed an improvement in my migraines - something that I have always suffered from. I would usually have an attack at least once a week – now I have not had one for the last 17 days. Somehow I feel that my whole life has become wholesome again and I am very thankful for this development. Despite the cost, HMD™ is definitely worth it! Alex is doing beautifully on the HMD™. I have been able to raise the dose. His speech is more frequent and clearer. His teacher reports "great" days at school. He is pretty regular and seems to actually be stimulated to move his bowels after his daily dose of HMD™ most times. There are other changes such as:singing with me, just knowing the words all of a sudden to songs, understanding us better, hearing better, etc. I have been taking HMD™ for 3 months now and the effects are absolutely amazing. 7 years ago I was diagnosed with Hodgkin lymphoma [cancer of the lymph nodes]. I was cured but have been suffering from severe allergies and skin problems ever since. I am (or have been) allergic to any kind of pollen as well as dust and for the past 6 years tissues and anti-histamines have been my constant companions. Every morning I would wake up to sneezing attack as well as itching eyes, throat and ears. My sinuses were constantly blocked and I could only ever breathe through my mouth, or one nostril at most. In addition my skin would randomly break out in eczema in different spots on my neck, back and arms. After reading about metal toxicity on the Internet I decided to try HMD™. Nothing much happened during the first 4 weeks and I was very discouraged. However during my second month I began to see rapid improvements. Suddenly I didn’t sneeze any more and my skin cleared up completely. I stopped taking anti-histamines and could finally leave the tissues at home. In my third month my sinuses started to clear up. And finally, after 6 long years, I can breathe properly through my nose again! In addition people have started complementing me on my skin, complexion and general energy level. It’s amazing. It may seem like a small thing, but it has made a huge change to my life and my overall well-being. I am glad I bought the full 90-day course – otherwise I may have given up after the first bottle. I will definitely continue taking this amazing producton a maintenance dose. Thank you HMD™! 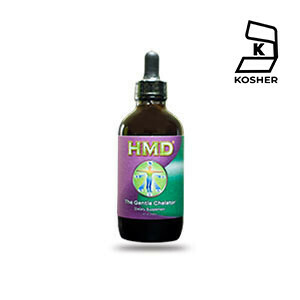 I would first of all like to say thank you for your research in regards to HMD™. I have purchased it, and I would like to give a bit of feedback so far. I have been taking HMD™ for about a week and a half, and here is what I have experienced so far. I am 32 years old and in pretty good health. However I have a condition of systemic candidiasis that I have had symptoms of for the last ten years, with toxic metals like mercury being one of the causative factors to this problem. With the Candida, my biggest problem was of a condition called pruritis, which is cuts or breaking of the skin that would be both painful, and extremely irritating and itchy. This itching and the pain from the eruptions or cuts in the skin would keep me up all night, and torture me throughout the day. I thought for sure after doing some research that I might have a lot of mercury built up and I was possibly allergic to mercury. The doctors called it dermatitis, eczema and psoriasis, and of course had no real answer for it. I also had these pink spots in that area which became worse (larger and more of them) in time, as well as some sort of scaly spots that would show up from time to time as well. I also just dealt with itching all over other parts of my body as well. When I started taking HMD™, those issues on the third day as well just went really bad. The cuts or eruptions started to manifest and it was pretty severe. I continued to take the HMD™, and as of today the cuts have healed, and the itching has lessened quite a bit. The spots are still there, and I realize that it takes time, but I am hopeful that this condition will disappear in time with using HMD™. October 2010 I just wanted to update some of the benefits I have received from using the HMD™ so far for quite a few months. So far the most amazing thing I have noticed is my increased cognitive function. I believe this HMD™ not only crosses the blood brain barrier, but actually pulls metals like mercury out. I did notice every once in a while a small dull headache that would subside after a few hours, as well as helping it with some extra magnesium. I got to admit, its an exhilarating experience with the increased brain power, as even with my studies regarding holistic medicine, its changed the 'game' so to speak. Its all falling into place, and just the way I seem to process the different forms of data coming into my brain is different. I already have a pretty good brain that God gave me, and with this rubbish being removed its just gotten better. I have also noticed a small difference with mental health and stability. I don't have any depression or any mental disorders, but I noticed a more calm feeling and a small improvement, just in mood in general. Due to losing my job I had to hold off on all the supplements needed to cure me of the Candida, but I have seen a marked improvement. The pruritis has minimized quite a bit, although its still happens on a small scale, especially if I don't keep away from sugars and simple carbs. Other irritations of my skin have gotten a lot better as well, as I am sure they are just another symptom of the systemic candida. I will be applying your protocol for removal and conversion of candida asap. Thank you! I love what the HMD™ has done for my son's mood and health. My son has a diagnosis of Asperger's and has responded wonderfully to the HMD™ product. 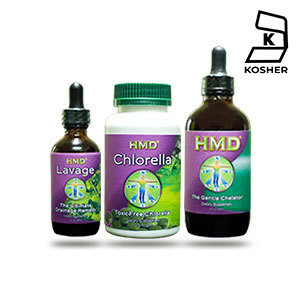 I especially like that its chlorella and cilantro based because it's more gentle but still synergistically potent. Because he is extremely sensitive we started out very slowly and after 3 months are up to his suggested dose. I saw a difference within the first week in his hyperactive behavior and anxiety level. He is more calm, clear headed and aware of the environment around him and can engage in family discussions without being cued. He is better able to cope with daily frustrations and although he still becomes frustrated he can now listen to reason and negotiate as needed for more streamlined and natural communication. 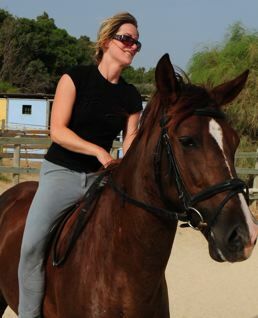 During the first week I took the supplement with him to get a sense of its effects and I found that I was better able to focus and less anxious. I was also able to complete more tasks and my ADHD symptoms were greatly minimized. My partner took it for the first week also and he found that his 'regular'headaches completely disappeared. I know that this is a product that is meant to work slowly and over time but we all saw huge gains very early on in many aspects of our functioning. Unfortunately since I'm on a fixed budget I can only afford to get this wonderful product for my son, but if I could afford it I would get it for my entire family. I also especially appreciate the newsletter and all the wonderful educational informationon the website. Although I have been researching health and detoxification issues for about 5 years I found the site extremely helpful. This is a wonderful product and I recommend it to anyone who will listen (because there are so many possibilities for toxicity in our current environment). 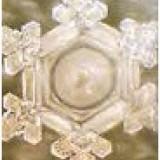 I have been taking HMD™ now for 4 months consecutively at a dosage of 50 drops x 3 daily. I began taking it after having 6 amalgams removed with no detoxification programme to cover me - after a few months I felt really tired, dry skin, sore muscles and a general apathy towards life. 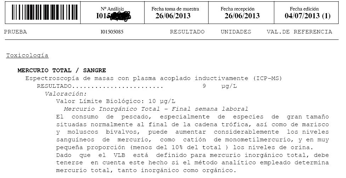 A test showed that I had high levels of mercury as well as arsenic (I am a vegetarian so eat plenty of vegetables with pesticides as I cannot afford organic). 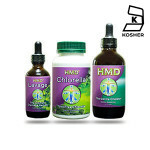 I now feel so much better with the HMD™ - my energy has greatly improvedand the pain in my muscles has gone completely. I am also feeling so much better and more alive! 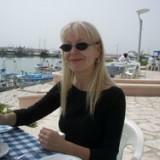 I was diagnosed with heavy metal toxicity some time ago after developing MS at the age of 45 years. I have led a toxic life as a welder and a part-time farmer, spraying the crops with lots of arsenic-laden sprays. I have been taking HMD™ for 6 months now - even though I am still not walking I can honestly say that my muscle movements are much better - I can actually wiggle my toes now, something that I could not do before. I am also generally feeling much more energized and my mind is working much better as I can concentrate for much longer periods of time. I am 46 and until a month ago, having started a course of HMD™, had never had a normal menstrual period in my life! Until I went on the Pill, my periods had always been very erratic in frequency and lasting about 15 days! I would have an unpleasant brownish discharge for about 10 days pre-menstrually and then the normal flow would come for about 5 days. On coming off the Pill, in order to start a family, it became apparent that I was infertile and medical tests showed a hormonal abnormality, but no explanation could be found for this. On leaving off the Pill, my periods were more regular, but the discharge continued. I started taking HMD™ 2 months ago (Jan. 2007), corresponding with the beginning of a menstrual cycle, and at the end of that month, for the first time, there was no discharge at all prior to the period! At the end of the second month, there was just a tiny amount on the 2 days pre-menstrually, which I am very happy about. Other improvements I've noticed since starting HMD™ are that I no longer wake up in the mornings in a mental fog which would previously take a couple of hours to shake off, and in general I feel more alert and focused. My hair, which has always been thin and lifeless, looks healthier and more full-bodied. 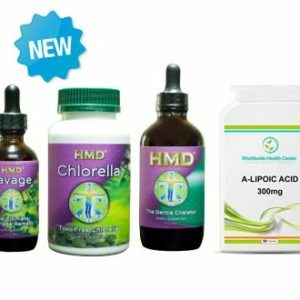 I intend to continue taking HMD™ having experienced this new lease of life, with the added bonus of knowing that my body is becoming less toxic by the day, and that I can expect to have a healthier life in the future. Update February 2008: I have now been taking HMD™ continuously for just over a year and am still enjoying the above benefits of a more healthy, energy-filled new life.I would just like to add that an added bonus has been that last summer, for the first time in 44 years, I had absolutely no symptoms of the severe hayfever (mainly an allergy to grass pollens) which had made my summers so unbearable. The endless sneezing and resultant raw nose were bad enough, but my itchy eyes, which in the end I couldn’t help but rub and thus make even more inflamed, resulted in two months of misery each year, as no pills or drops could relieve it. I’m sure this cure was due to HMD™ removing the toxic metals which were causing my system to react adversely to the pollens. I am very grateful for this. Thank you. I am enjoying the product and its ''gentleness''. Within 48 hours of taking the heavy metal detox product I experienced a better increase in concentration. Since taking the product since for well over a month now I have experienced a few improvements. 1. The coldness in my feet that I feel in the morning has now completely gone. 2. My mood and temperament have reached an even keel, something that I was truly grateful for. 3. 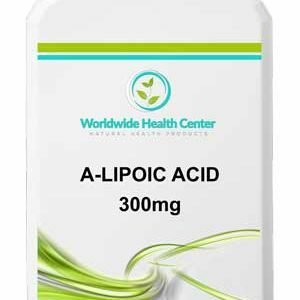 I have now for many years had a rapid increase in heart rate an ''exploding" feelingwhen I am sleeping and since taking the product that has now completely disappeared. 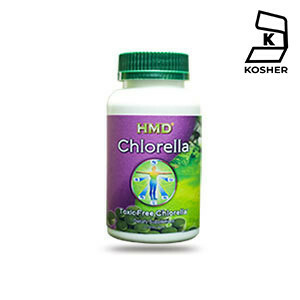 I also enjoy the quality of the chlorella tablets something that I have not experienced in other chlorella tablets. Thank you for this wonderful product. After taking the HMD™ now for near 2 months, I have noticed a few other improvements and enhancements in my health. 1. The tinnitus in my ear has abated somewhat I am sure that as I continue to take the product it will diminish further, as it gradually has been. 2. At times my neck has this ''swollen'' feeling but I have noticed taking the chlorella (dosage about 10 a day) tablets has eased the mild pain that I feel. I expect this to reduce in time as I continue with my projection of the HMD™ program. 3. I have also noticed that as a continuation, my general well being has improved further with time and my wider vision has also expanded. 4. That ''internal'' coldness that I have always felt is slowly working its way out of my system something that I noticed three weeks in the program. I just received a call from a gal that I gave an HMD™ sample to a week ago. She was so highly toxic that even touching coins would cause a metal taste in her mouth. After 2 days she noticed she woke up - wide awake- as she says. This has never happened. She can now, after a week, pick up a metal fly swatter without feeling and tasting metal in her teeth as drastically as she had before. She still got a small charge in her mouth. She is on a very low dose - 20 drops twice a day. She was so afraid to start anything more “heavy” as her reaction could be dire. 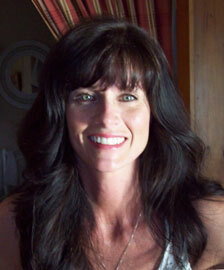 She worked in the plumbing industry for years and handled metals, thus her build-up. She is feeling encouraged and feeling much better. As a new user of HMD™ (two & a half weeks) the measurable health improvements have been remarkable. 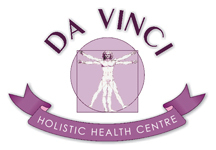 Within a couple of days of commencing with HMD™ I first noticed how much healthier I felt. Most significant was the tangible increase of my energy levels. To achieve this normally involved consuming numerous cups of tea & coffee to kickstart my system, whereas now they are not required. I am now more alert & dynamic throughout the day. In addition, my short term memory is also showing signs of improvement. I have no doubt these changes are attributable to the HMD™ product and I will be purchasing a second bottle in the near future. H (UK):It’s a miracle! Mercury Poisoning through amalgam fillingsI obtained your details from the web and am interested in your HMD™ formulation using a homaccord of Chlorella, CGF and Cilantro as I wish to self-medicate myself, since I feel sure that I am suffering from the effects of mercury poisoning through amalgam fillings administered to me since at least the 1940's, I am over 77 years of age. I have noticed the symptoms since last autumn and I am sure it is affecting my work as a writer.It’s a miracle, no less - let me tell you. I ordered the product on Monday, received it Wednesday, took it Thursday, and twice today, Friday so far. I walked to the shops this morning and felt marvelous. I have just got in from a six mile walk, mainly on the beach, and have felt in near peak condition, like I haven’t felt for years. The pain in the knees had gone, I could run a bit, I never staggered with shortness of breath, and never collapsed on the settee after returning and falling asleep.The ringing headaches that I feared the most have gone so far today. I feel like a new man already, and capable of achieving my writing work that I have been so sluggish and inconsistent with this Autumn and Winter. I am amazed; it just MUST BE your miracle formula HMD™. I will continue taking this for two months but I am amazed as I am, as suggested, only on 25 drops, three times daily. In short I offer you my complete gratitude for inventing and marketing your product. Thank you from the bottom of my heart, certainly nothing else has or could achieve these results. I am truly thankful for HMD™. I truly have to say that HMD™ has been a huge blessing in my life - a real God-send without question. 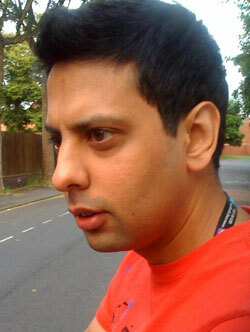 My battle with strange “symptoms” began at the end of June in 2009. For several months I struggled with a wide range of feelings/sensations - continual “symptoms” that were beyond annoying, to the point of distressing. Just to name a few, these included tremors (internal and external), sensations of having a heart attack or stroke, panic attacks, insomnia, sensitivity to sound/light/smell; pulling in jaw, twitching,--and the list could go on. Numerous medical tests were run. No sure diagnosis was given. 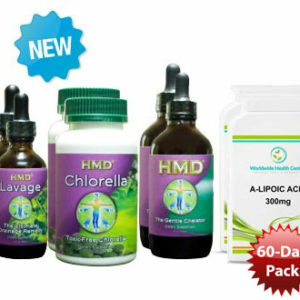 Believing my problems could possibly be related to heavy metals, I began to take HMD™ (Tripack) on January 3, 2010. Little by little, slowly but surely, I have been watching myself progress back to normalcy. It seems that HMD™ has gently, safely, and naturally been bringing me through to recovery. I am so thankful to God for this wonderful product. 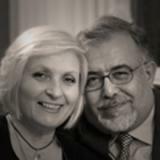 Dr. Hisham (Egypt): Great Results! I'd like to let you know about one of my patients here in Egypt: Lead toxicity, paralysis, blindness, depression, vomiting - 28-year old woman:The patient is now a 28-year old university graduate whose problem began 7 years ago with neck pains that progressed to semi-paralysis of the hands and feet. She began taking certain vitamins and minerals in high dosages, which helped initially, but she was left with a limp.About 2 years ago the same symptoms appeared again but the progressive degeneration was much faster this time. Her vision was affected with blurring and white shadows until she became completely blind. She also became chronically depressed.During this time she saw many doctors of different specialties such as internal medicine specialists, neurologists, psychiatrists and others. She had developed a loss of sensation in her feet, with excruciating pain in her whole body, to the point where anyone touching her caused excruciating pain – there was no way that she could be seated upright by herself. Her blood pressure had reached 200/100 and she was started on anti-hypertensive drugs to control this. Her pulse rate increased and she began vomiting, with little appetite.She also had peeling of the skin of her feet which was quite marked.During the last 5 months her symptoms got worse with oedema of the legs and clonus of the feet. She began biting her tongue and cortisone therapy was begun to control the swelling. There were also chronic, unbearable abdominal cramps. Even her facial features had changed due to bone protrusion in her face. She had a very bad taste in her mouth with a metallic characteristic. Her voice was very erratic and it was difficult to understand what she was saying. She could not sleep for longer than a couple of hours at a time.Interestingly, at the back of the skull on the occipital region there was a distinct softening of the cranial bone with a puss-like viscous fluid extruding from the skull, making the hair all sticky.Diagnostic testing using EMG showed chronic axonal polyneuropathy. MRI showed abnormal signal intensity in the white matter of the occipital and posterior parietal lobes on both sides consistent with white matter disease or dural matter disease. ESR was elevated at 70, RBC count was low at 3.81 and she was very anaemic looking, her HGB was low at 9.8, HCT low at 26, MCV low at 70.1, S; was creatinine low at 0.3 and albumin low at 2.1. A Tissue Hair Mineral Analysis was performed as an initial screening test to determine the levels of toxic metals – lead was found to be 1,000% higher than the reference range. About 2 months ago this lady began taking HMD™ (Heavy Metal Detox) once the hair analysis showed high toxic metals, particularly lead. Within a short period of time she began seeing dramatic improvements such as: * The sensitivity of the skin and pain in the bones had gone completely and it was possible to touch her again * The stiffness in the knee had gone * The abdominal cramps had gone completely * Her facial features had changed as the bones in her face that had a protrusions returned back to their initial position * Vision has improved somewhat and she is now able to see shadows * The oedema in the ankles has now gone and she can now sit unaided, something that was very difficult before * Her voice has now returned to normal – before it was very erratic and communication was difficult * She can now sleep for long hours and get the rest that she requires * Her left arm that was completely paralyzed and had swelled considerably, has now gone and she can move her arm much better. 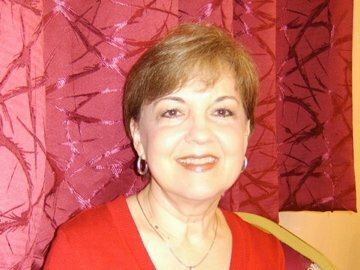 On the 29.07.07 this lady was seen by the inventor of HMD™, Dr. Georgiou, at the Da Vinci Clinic Egypt on one of his trips there and confirmed the diagnosis of lead poisoning with ART resonance testing showing lead accumulations in the occipital cortex, the liver and kidneys. 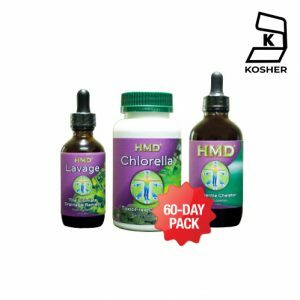 A more detailed and complex detoxification regime was begun for this lady, using HMD™ as one of the main chelators, along with drainage remedies and high mineral levels. Her progress will be carefully monitored and reported here for the benefit of all. Kenny (Vancouver Island, Canada): People need to know this stuff really works! Thank you so much for creating this wonderful product. I've had horrible health problems for years, insomnia being the worst one. I started having a burning feeling in my brain and finally traced all my life's problems to the mercury in my silver fillings. I tried nearly everything under the sun for insomnia and nothing seemed to help. I tried melatonin, 5-HTP, herbs, ect. I even tried medical marijuana which helped a small percent. The HMD™ was really working the third day I was on it at the full dosage at 45 drops x 3 times a day. I'm not sure if it really was or maybe this was all in my head? 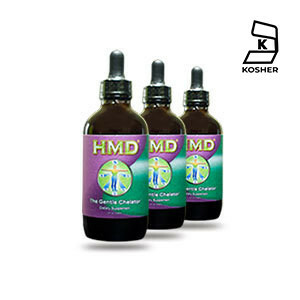 My mind might have been at rest knowing I'm on the road to recovery with HMD™. Day 15 rolls along and my insomnia is 50% improved. By the time I've finished 2 bottles my insomnia has vanished. I had no idea the HMD™ would work this good considering my 9 amalgam silver fillings are still in my mouth. Three of them are cracked wide open. I feel like the HMD™ is protecting me from anymore mercury damage. I am getting the fillings out in a few weeks. 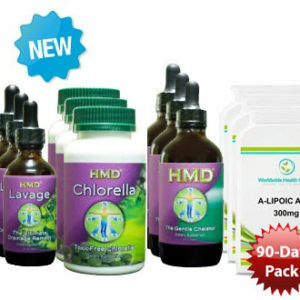 I have been taking the LAVAGE and CHLORELLA too which are amazing. 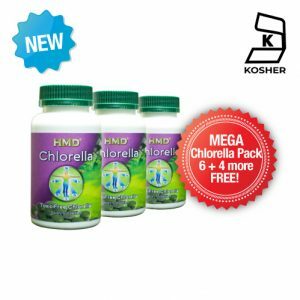 Chlorella is the worlds healthiest food aside from spirulina. 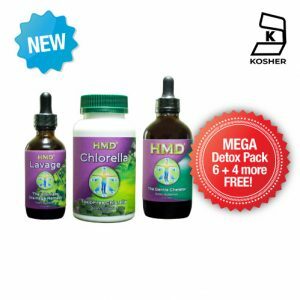 Not sure why people think chemical chelation is the right way to detox. Why pour more chemicals in your body when your already toxic? Our bodies are self detoxing if we eat the right healthy foods. Cilantro and chlorella are those foods. 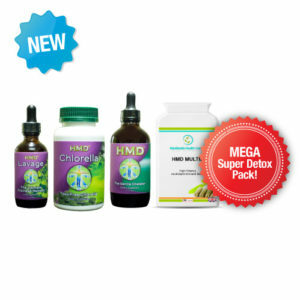 I have one more bottle of HMD™ that I'm on right now from the detox pack. That's okay because my new HMD™ order should be here any day including my iodine. I heard 90% of the world is deficient in iodine. I wonder if this is true? Please get your fillings out the safe way by a mercury-free dentist. Take HMD™ and protect yourself. Thanks again. PS: I would love for you to put me on the site. People need to know this stuff really works! My cold hands are about 70% gone. Stomach pains are 100% gone. I've only taken two bottles. If it works this good I wonder how good I will feel after a year on HMD™. Amazing! Bad SEO scoreYou have not used your focus keyword in any subheading (such as an H2) in your copy. Bad SEO scoreThe keyword density is 0%, which is a bit low; the focus keyword was found 2 times. OK SEO scoreNo outbound links appear in this page. Consider adding some as appropriate. OK SEO scoreThe meta description is under 120 characters, however up to 156 characters are available. OK SEO scoreThe page title contains 27 characters, which is less than the recommended minimum of 40 characters. Use the space to add keyword variations or create compelling call-to-action copy. Good SEO scoreThe copy scores 66.6 in the Flesch Reading Ease test, which is considered ok to read. Good SEO scoreThe text contains 6888 words, this is more than the 300 word recommended minimum. Good SEO scoreThe images on this page contain alt attributes with the focus keyword. Good SEO scoreThe focus keyword appears in the URL for this page. Good SEO scoreThe meta description contains the focus keyword. Good SEO scoreThe page title contains the focus keyword, at the beginning which is considered to improve rankings. Good SEO scoreThe focus keyword appears in the first paragraph of the copy. Good SEO scoreYou've never used this focus keyword before, very good. Show Row Top widgets ? Here you can select how your footer row top widgets will be displayed. Show Row Middle widgets ? Show Row Bottom widgets ? URANIUM DETOX Cynthia USA - Our family apparently was exposed to uranium because it appeared in hair analysis and urine tests. We discovered we lived in an area where there were veins of uranium running underground through the town and later read in news accounts that the EPA was testing wells for uranium in our area. As soon as we learned that we apparently had been exposed, we tried HMD. It was a relief to know that there were options for detoxification, especially for our children, that wouldn’t be harmful. Later testing showed that the levels had reduced by half in about 6 months. I have recommended HMD to friends with autistic children. TOXIC METALS AND SLEEP Susanne (Spain) - I just want to say that the HMD detox is working very very good with me…After the first week I had kind of flu symptoms but after that I began feeling better. I also had pain flashes in some of my teeth but that has gone too now and I am feeling overall better. My hair has started growing again, skin and my eyes look clearer and more healthy as well. I havent slept as well for years as I do now after 10 days on the metal detox. It is really a good product and the best money I have spent in a long time.